Shirley, MA October 22 – Golden Girl Granola is announcing a price increase starting November 1st. All products featured on Golden Girl Granola’s online store will reflect this change. This price increase helps ensure the highest quality natural ingredients remain in each granola flavor. The cost of ingredients for Golden Girl Granola products has continued to rise since 2017. Pure vanilla extract, which is an ingredient found in all of the granola flavors, had a price increase of 200% in 2017 due to Tropical Storm Enawo. An additional 20% price increase was implemented in January 2018 because of speculation. With the market changes for granola ingredients, Golden Girl Granola decided to adjust their product pricing. Single 10 oz. granola bags will increase to $7, with the Truly Tropical flavor increasing to $8. Snack packs (six 2 oz. bags per pack) will increase to $18, with the Truly Tropical flavor increasing to $19.50. Flavor groupings, such as “The Honeys” or “The Maples”, will also see a price increase. Granola products offered in various stores will see adjusted prices at each store’s discretion. 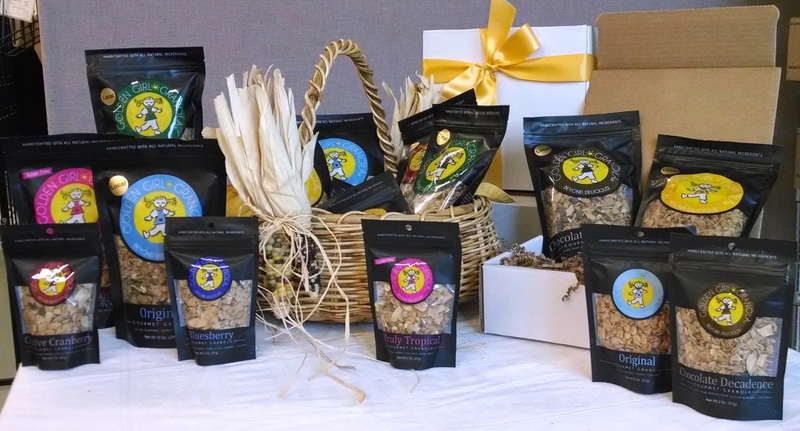 Golden Girl Granola™ is a family-owned and -operated business located in Shirley, Massachusetts and produces a branded line of gourmet granola products superior in taste and made from the highest-quality ingredients. Golden Girl Granola is a “Healthy Snack” alternative for health conscious consumers who appreciate good taste. Flavors include Forest Maple, Creative Cranberry, Bluesberry, Chocolate Decadence, Original, Home Sweet Honey, and Truly Tropical. Golden Girl Granola offers the complete line nationwide for Chain Supermarkets, Independent Supermarkets, Gourmet Food Stores, Club Stores and Convenience Stores.